Michelin has unveiled its new all-season standard passenger car tire that delivers Michelin’s renowned technical performance attributes and long-lasting tread life designed specifically for the family car, minivans and small crossover vehicles. Michelin Green-X* low rolling resistance tires will provide a confident driving experience in addition to enhancing vehicle fuel economy. Defender tires are designed to deliver extra long wear, comfortable driving characteristics and all-season traction in dry, wet and wintry conditions, even in light snow. 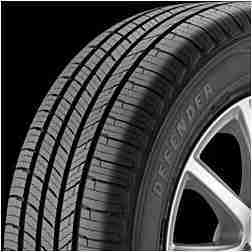 Featuring a silica-based, all-season tread compound molded into a mildly asymmetric tread design, Defender tires provide traction throughout a wide range of ambient temperatures and driving conditions. The interlocking action of Michelin IntelliSipe Technology promotes exceptional tread block rigidity that reduces rolling resistance and wear rate so drivers can save on fuel without sacrificing longevity. IntelliSipe Technology also allows Michelin to increase the number of sipes in the Defender’s tread design to provide additional biting edges that enhance all-season traction in rain and light snow. Four circumferential and hundreds of lateral grooves help evacuate water from under the tire’s footprint to enhance hydroplaning resistance and wet traction. The tire’s internal structure features Michelin’s MaxTouch Construction that combines a polyester cord body and twin steel belts to optimize the tire’s contact with the road during acceleration, braking and cornering to promote even wear and predictable handling. 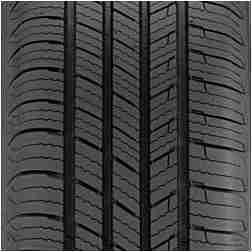 For the best prices check with your local tire dealer or www.tirerack.com.